Welcome to my weekly NIFTY THRIFTY TUESDAY party...so happy to have you here. I hope your week has started off with a bang, and you are enjoying this first week of September. It's so hard to believe that September is already here, where did this summer go? Well, it's here, so what that means for us is, college football! Oh yes, we just back home from a three day trip to Atlanta, to watch our Auburn Tigers play. It was a fun time with our daughters in tow (as always). Now, it's time to get outside, and clean up our yard after the storm that blew in last week. So, I better go, and get to cleaning. You will love these three features that I am sharing with you today, so be sure to check them out. Linda, these are great features. So glad you made it thru the storm safely! Thanks so much for hosting...have a great week! I think I stared at Angie's kitchen for quite a long time. Thanks for hosting! 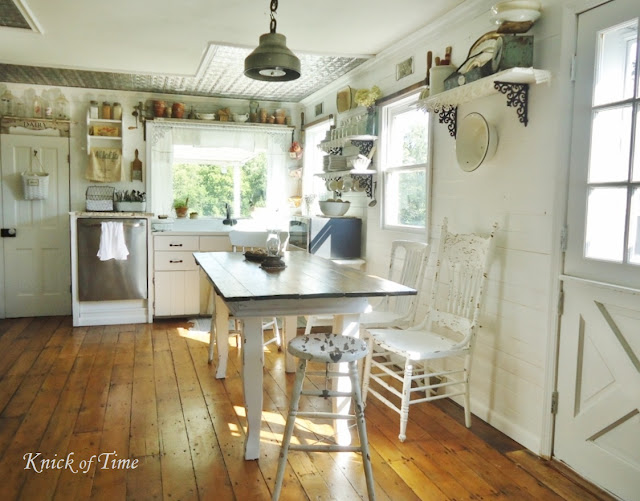 Thanks so much for hosting and for featuring my farmhouse kitchen, Linda. Have a wonderful week! Thank you for hosting! Great features! And no I cannot believe it is September! Sounds like a fun family trip, don't wear out with all the outside cleanup! just linked up, Linda, thanks so much for hosting! Nice features! Thank you for hosting yet, one more great Nifty Thrifty Tuesday. Enjoy your week. Thanks for the party! I love that kitchen! Hope you have a great week! Sounds like your September is off to a great start Linda. Thanks for hosting, awesome features as always. September is fianlly here, time for fall nifty thrifties! 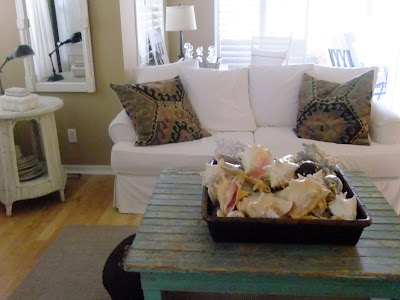 Thank you for hosting each week, andrea b. Thanks for hosting week after week, I'm glad to be here! Hi Linda: Glad to hear you had fun on your recent trip to Atlanta for football. I thank you for yet again hosting a wonderful party, and the features you selected are just beautiful! Thank you for hosting. I enjoy seeing what everyone has been creating! Thanks so much for hosting! Looks like a great party! 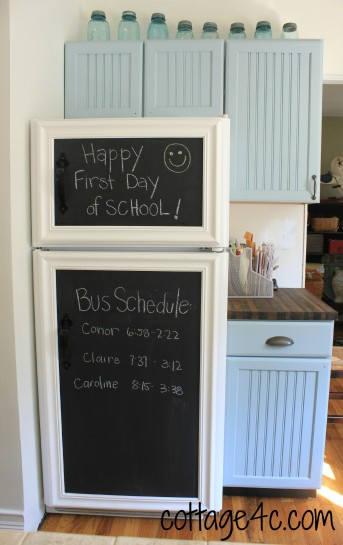 Linda - thank you so much for featuring my fridge chalkboard! I am off to check out your other features. Thanks for stopping over to see me and for the invite to join the party. I appreciate your hosting!! Thanks, Linda, for the fun party you host each week! It's such fun stopping by! I was praying you and your neighbors would be safe from Issac. I LOVE the ocean, but it is definitely something to be feared! So glad to know, you were all safe. Thanks for hosting and sharing some amazing features!! Such great features...lots of beauty! Your getaway sounds fun! Thanks for hosting, Linda! Hi Linda! Thanks for hosting your party for us again. I'm glad Issac was not too harsh on Alabama's coastline. I watched the Auburn game on TV...did it look better in person? I'm glad you had good family time at least. Thanks for hosting! looks like a lot of fun here to see. I'm ready for fall and football! Love the features. Thanks for hosting a fun party! Linda, you always have the most amazing entries! I love seeing all the great ideas! Hi Linda, you are so right. I love, love those features. I need to go visit and see more. You just left me chomping at the bits. lol! Thanks for hosting and Happy football season. I sure do miss your link parties. Wow, I just kept scrolling, haha! Lots of talent to take in. Thanks for hosting Linda! Have a wonderful day! Your kitchen is the type of kitchen I dream about having. I haven't seen many kitchens as beautiful as yours.